The McClurkan Award is presented to individuals whose life and service reflect Trevecca’s values but who did not graduate from the University. Dr. Charles Johnson is a native of Orlando, Fla. He moved to Meridian, Miss., in 1961 after graduating from the Nazarene Bible College in Institute, W. Va., and completed further study in church planting at the Fuller Institute in Pasadena, Calif. He has also completed management training at O.I.C. Academy of Management Training. Johnson has received an honorary Doctor of Divinity degree from Trevecca. Dr. Johnson founded the Meridian Action Committee, a Mississippi civil rights group that helped to desegregate the lunch counters, restaurants, movie theatres and shops in the Meridian, Miss., area. Johnson also led the picketing of Meridian City Hall against police brutality. During this time, he met and marched with Dr. Martin Luther King Jr. and Dr. Ralph Abernathy. In 1972, Johnson helped to organize the Meridian O.I.C., a job training and job placement program. He was appointed to the National Manpower Board by President Jimmy Carter and served on the Mississippi Governor’s Colonel Staff. 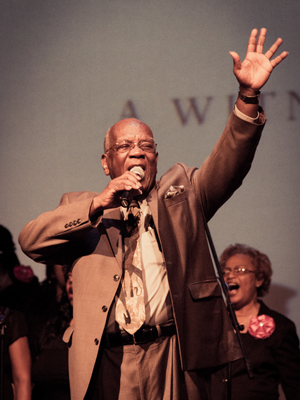 A preacher and singer, Johnson has served as the pastor of Fitkins Memorial Church of the Nazarene for 55 years. He is married to Shirley Ann.